Coco Rocha wore Seraphine recently! The mommy-to-be showed off her growing baby bump wearing the Fortuna Graphic Maternity Dress as she shared a special moment on her Instagram ($99; www.seraphine.com/us). 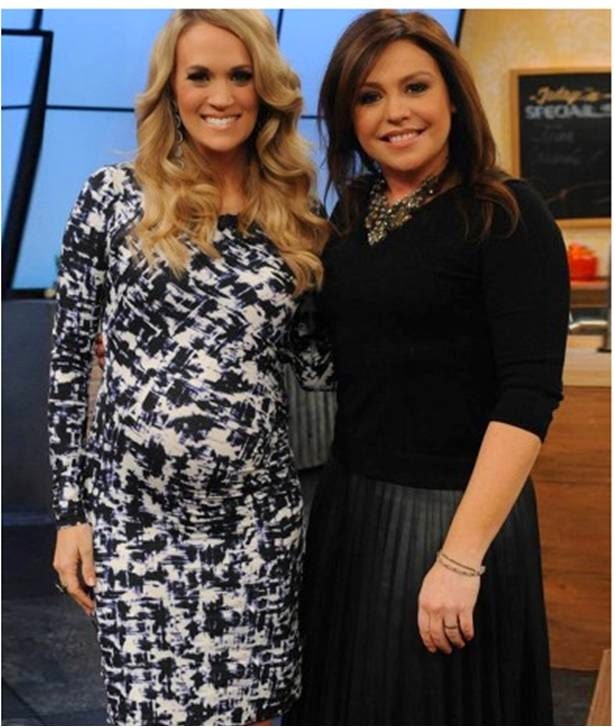 Carrie Underwood also wore the same Seraphine dress during her pregnancy!